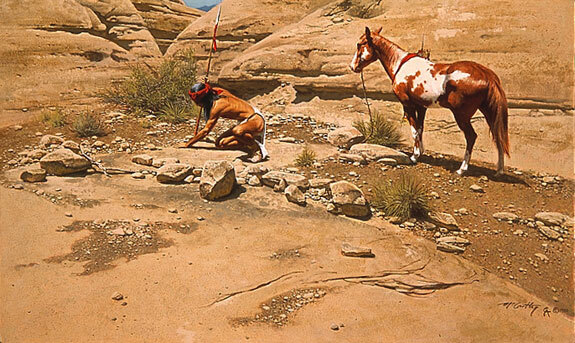 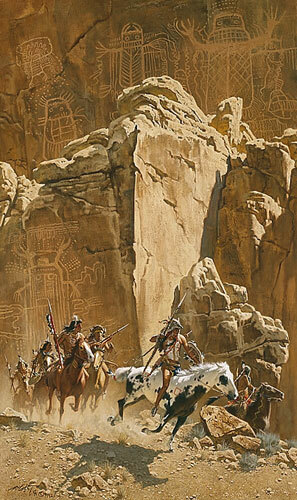 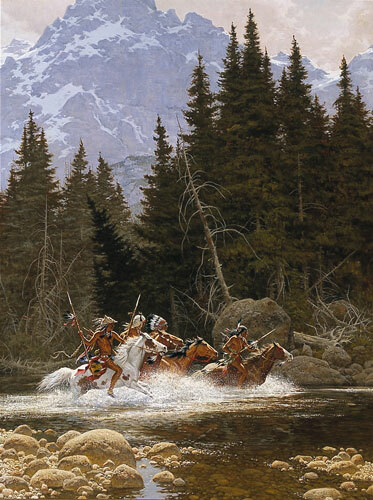 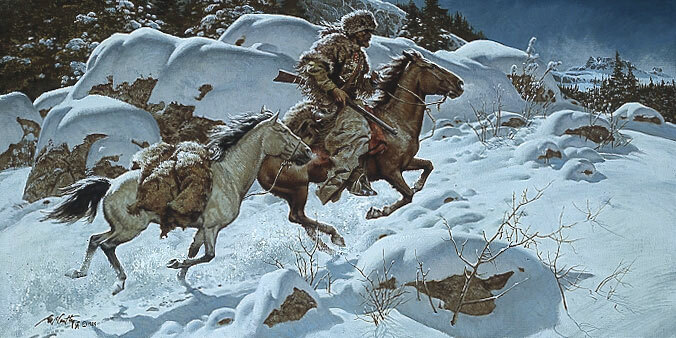 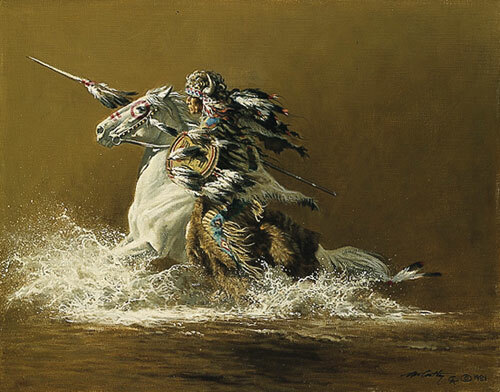 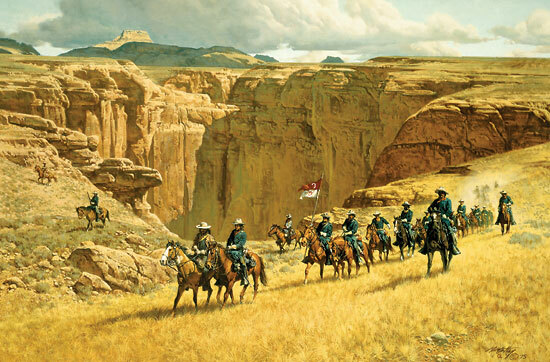 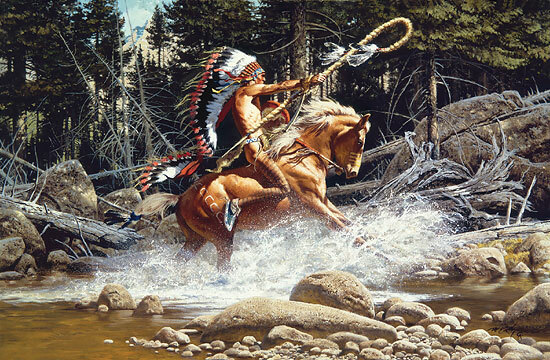 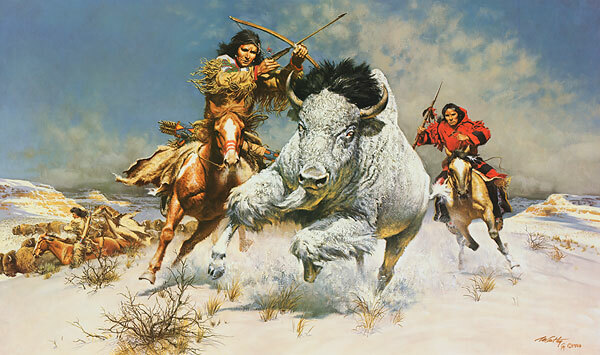 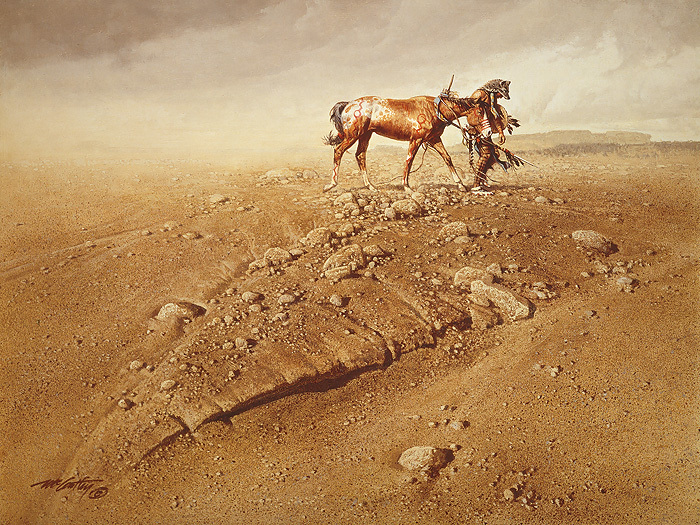 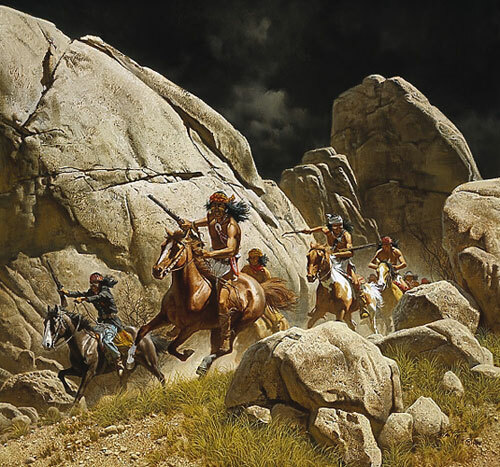 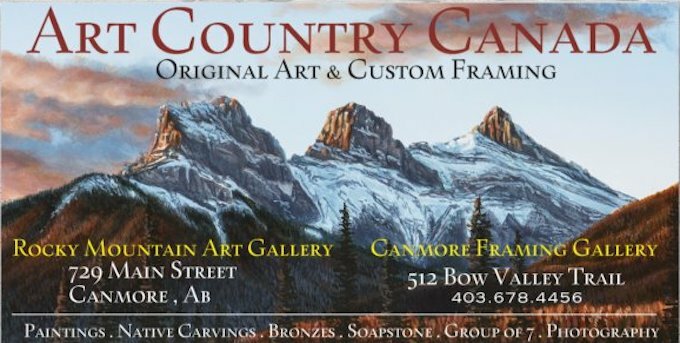 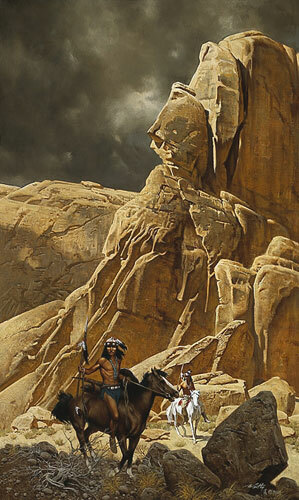 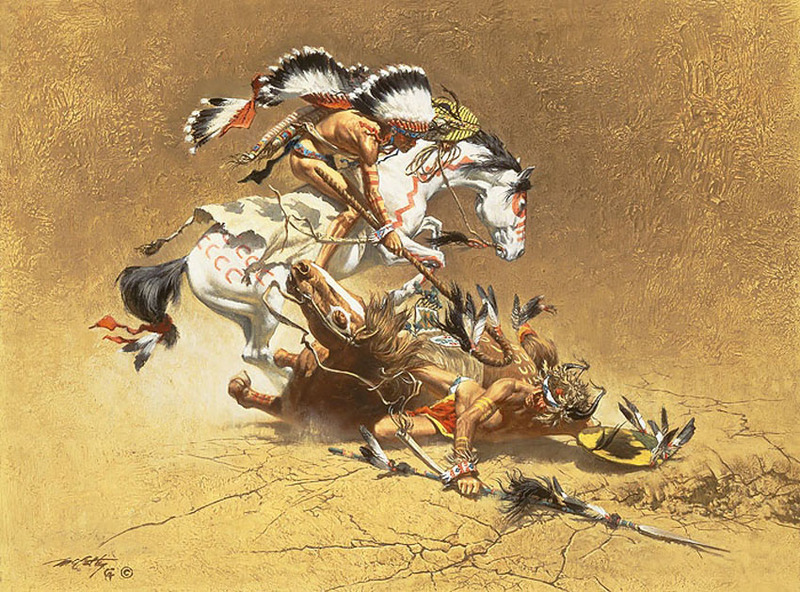 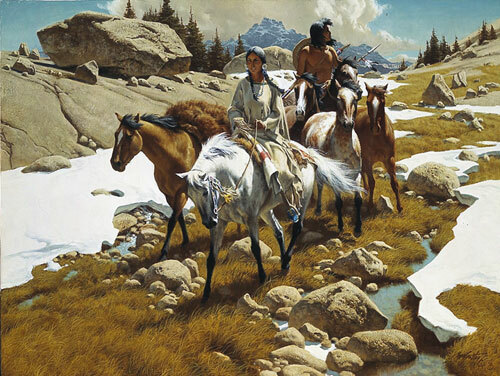 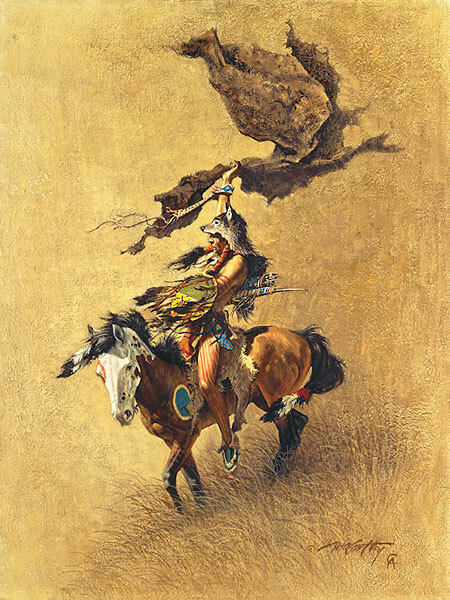 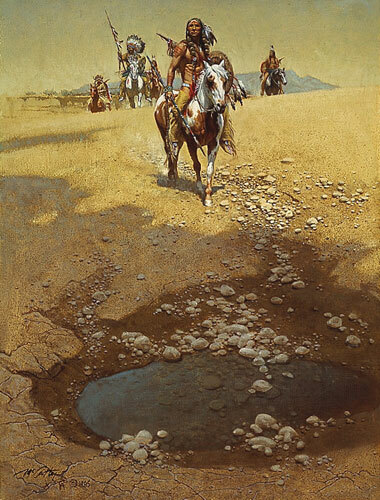 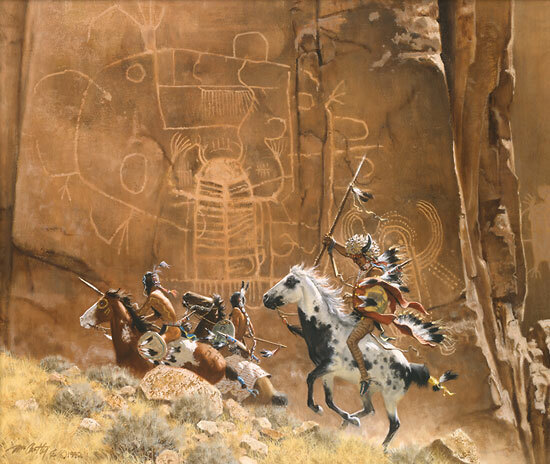 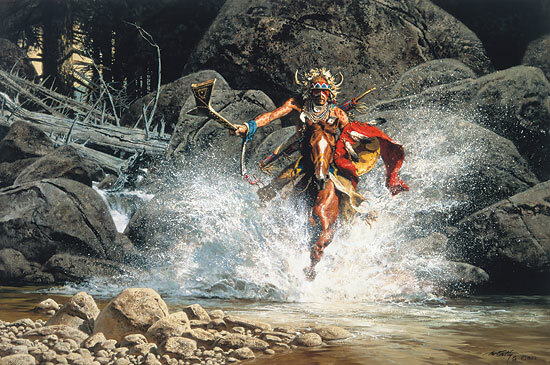 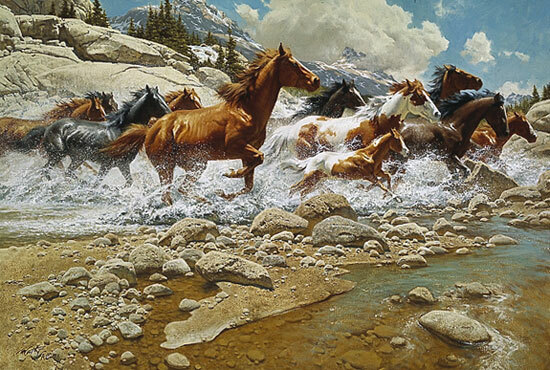 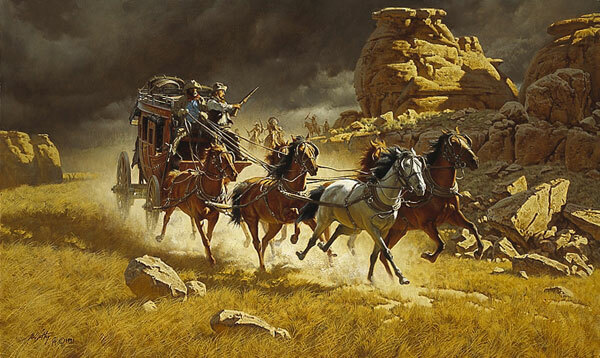 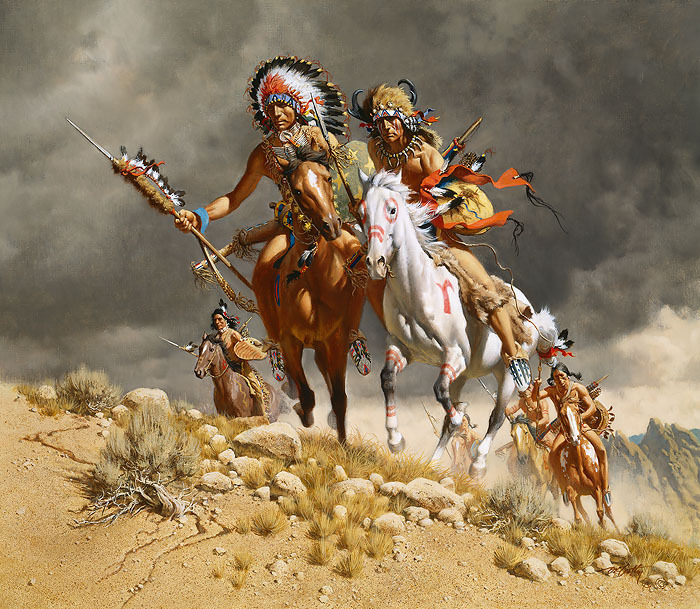 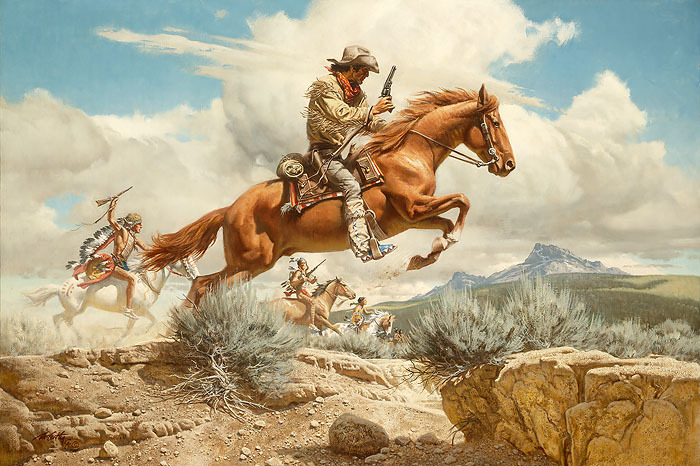 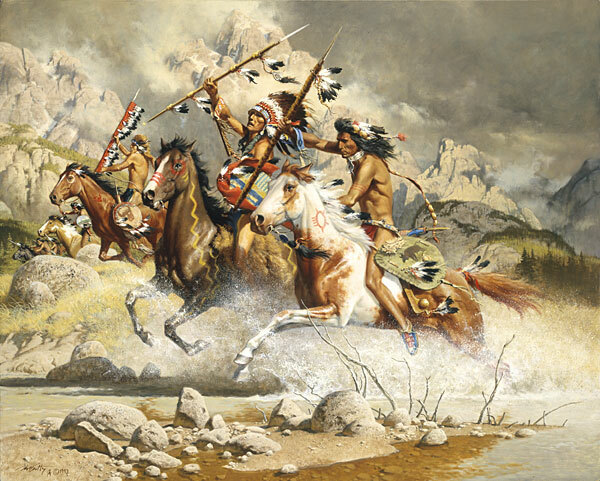 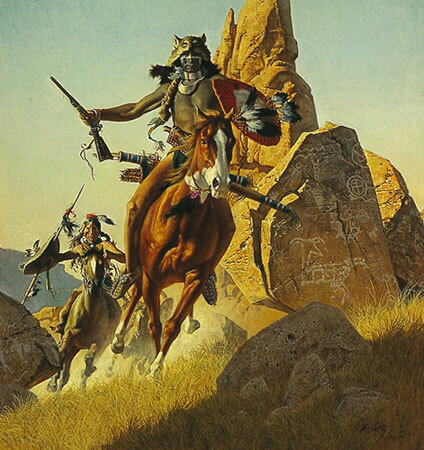 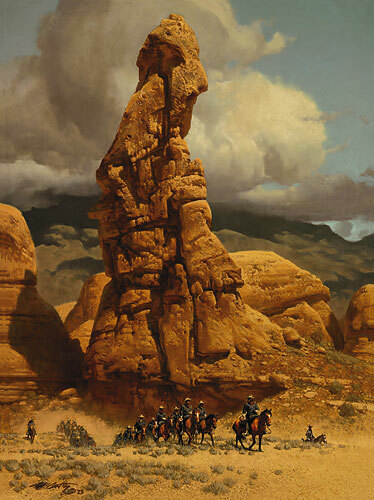 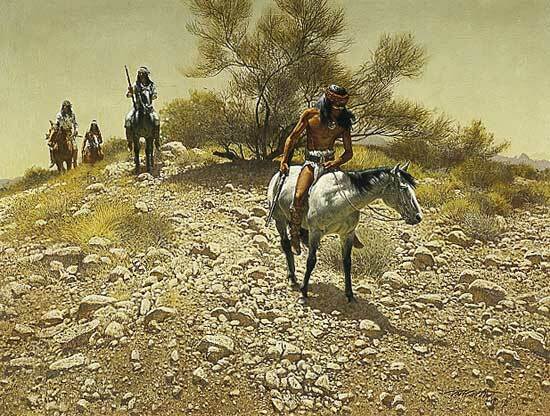 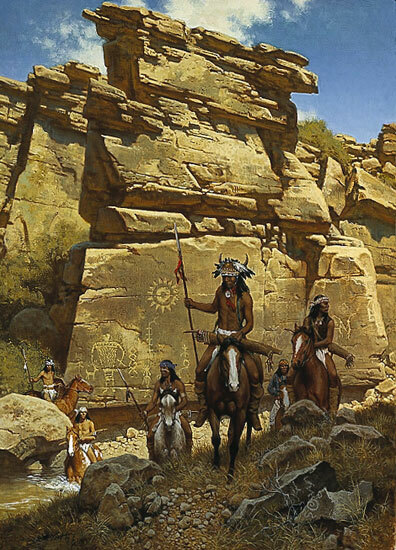 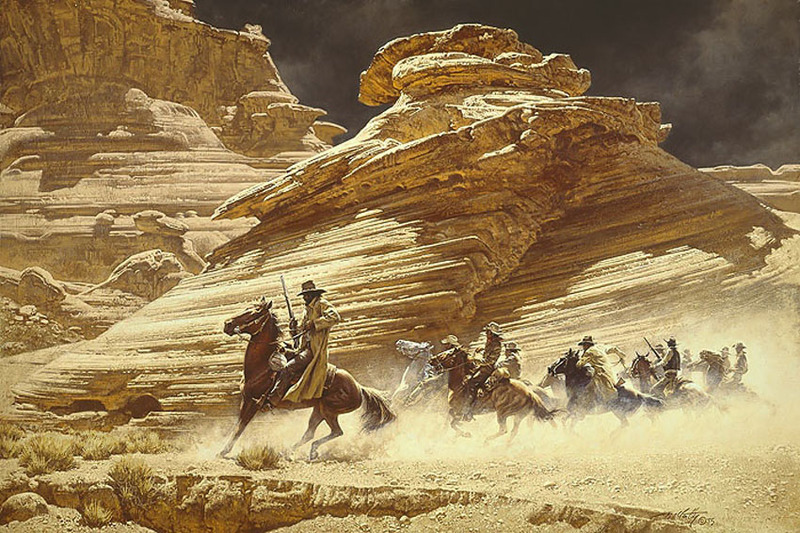 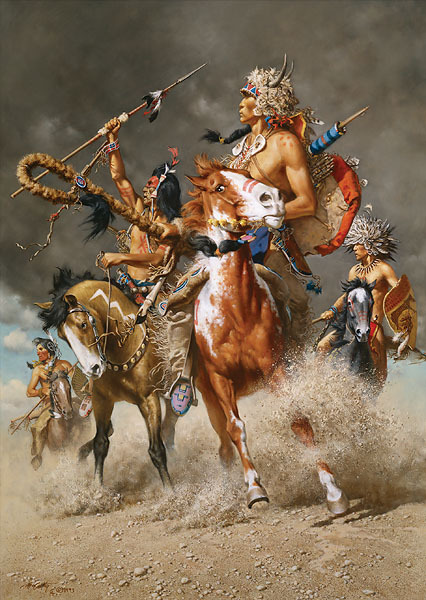 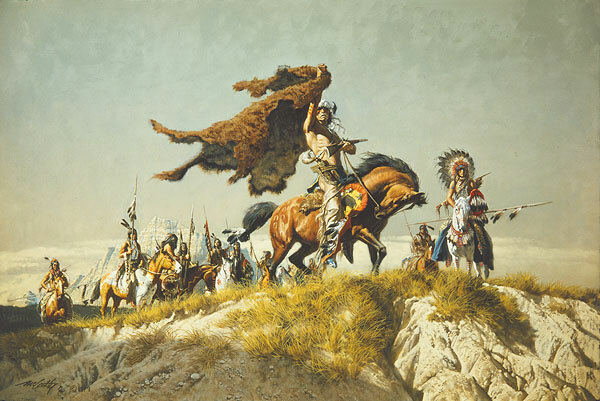 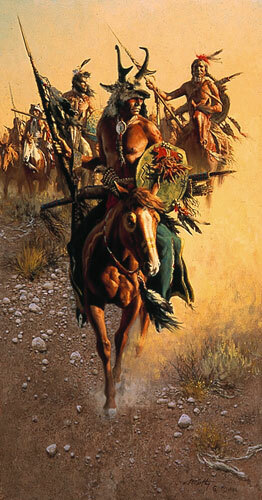 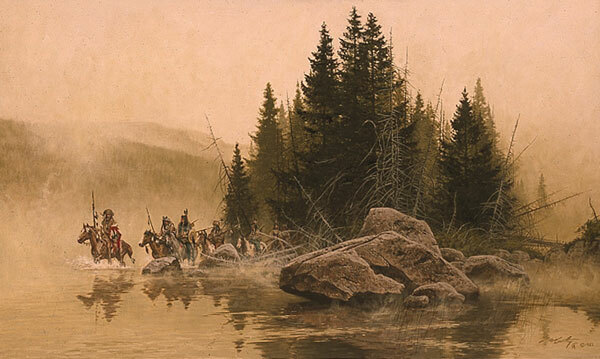 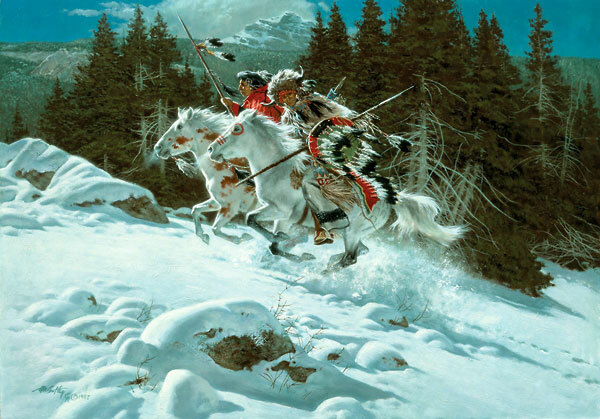 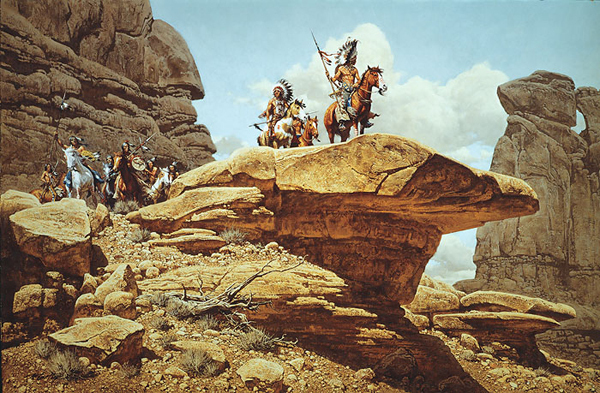 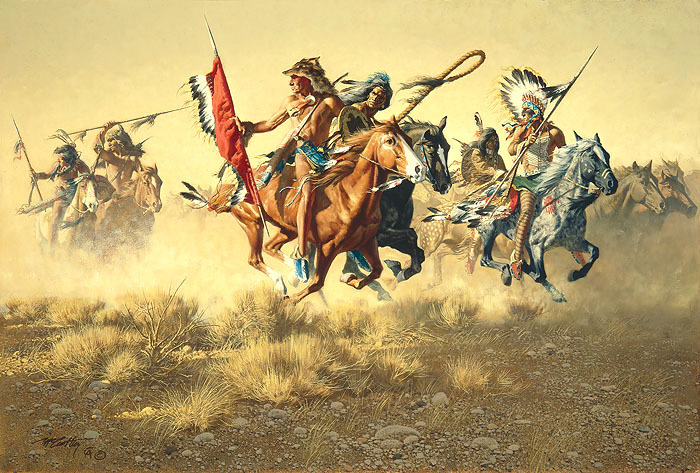 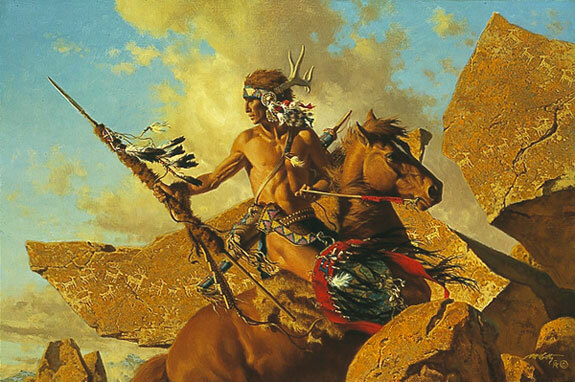 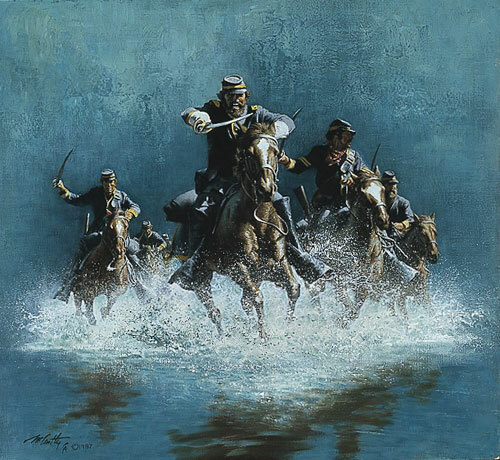 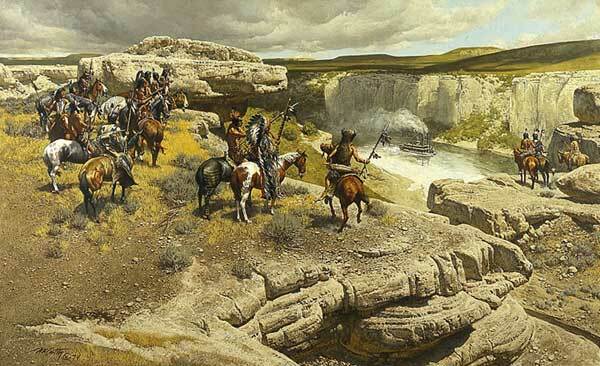 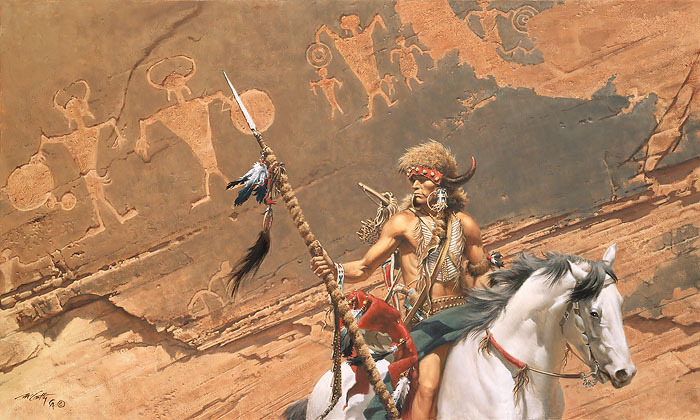 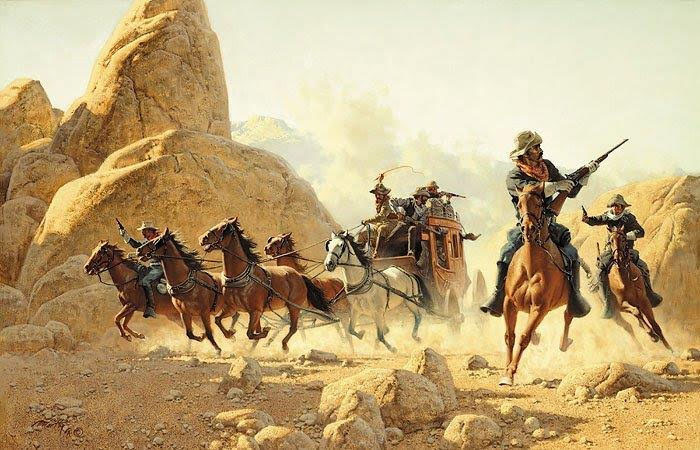 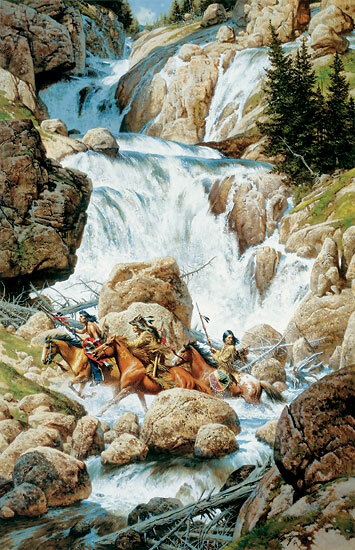 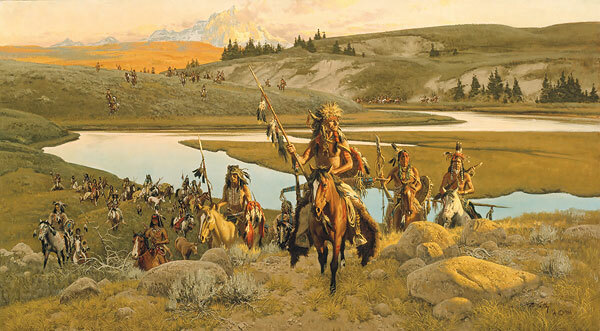 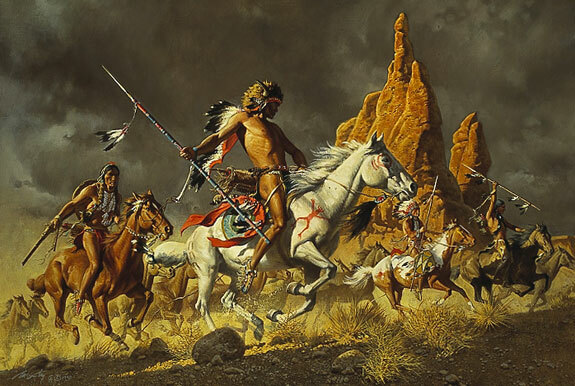 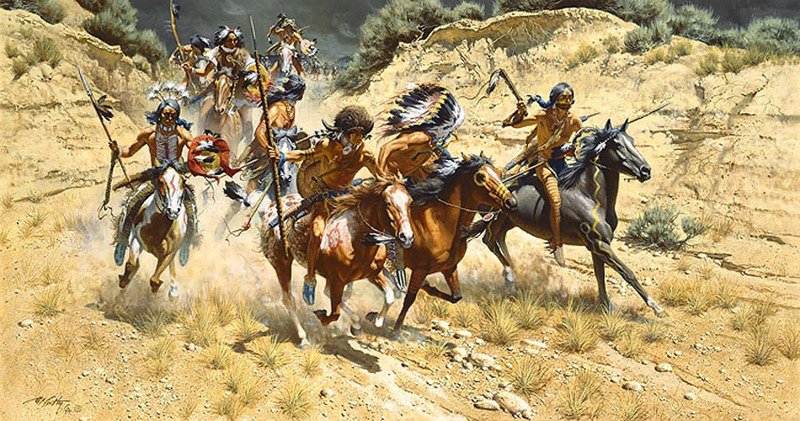 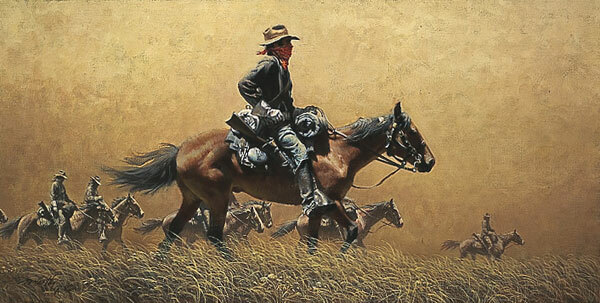 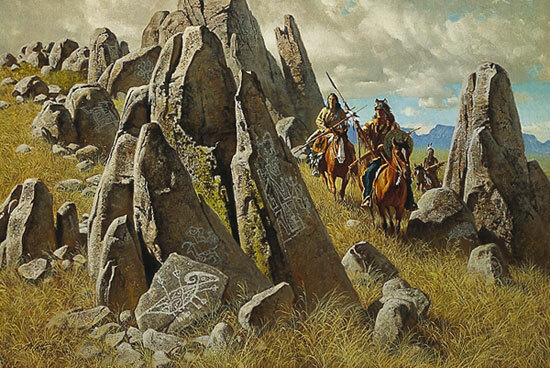 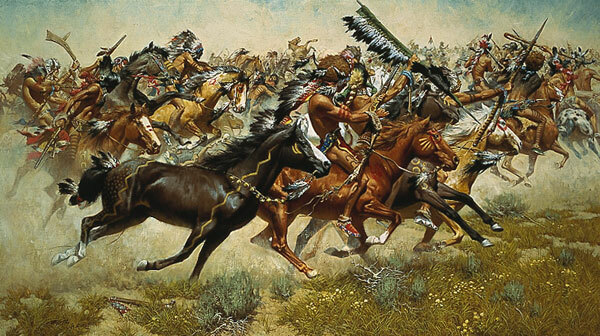 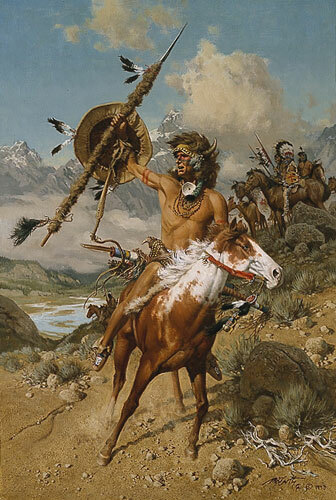 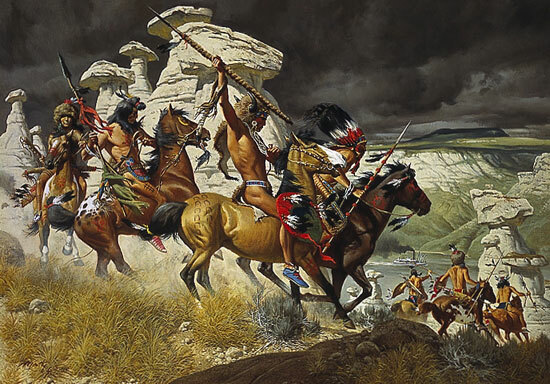 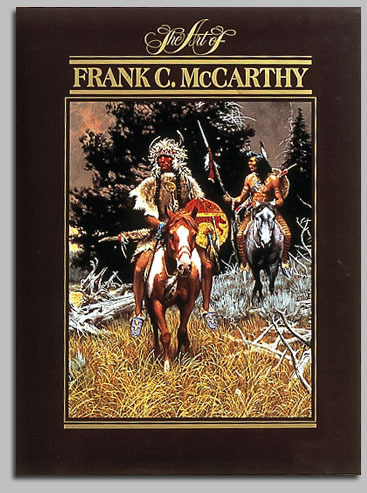 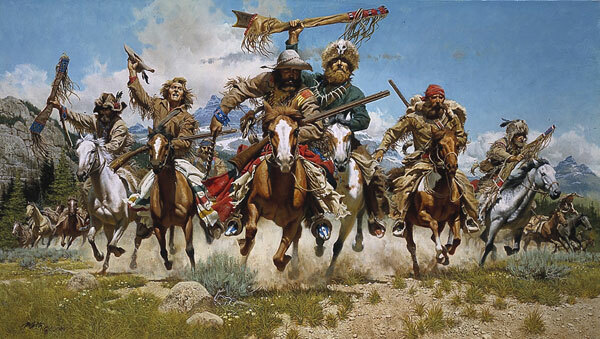 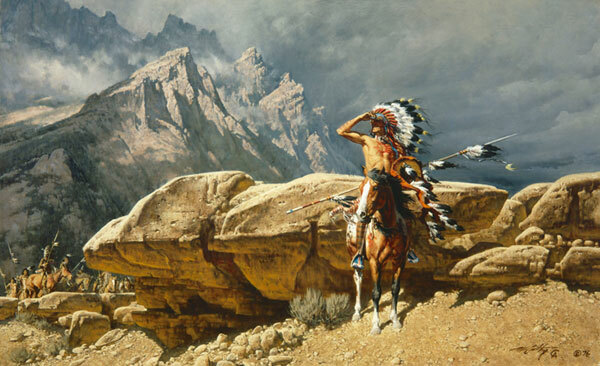 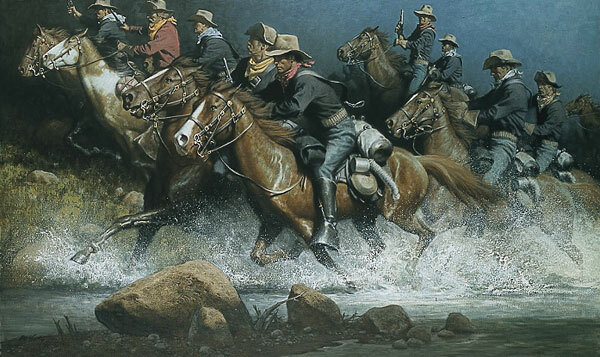 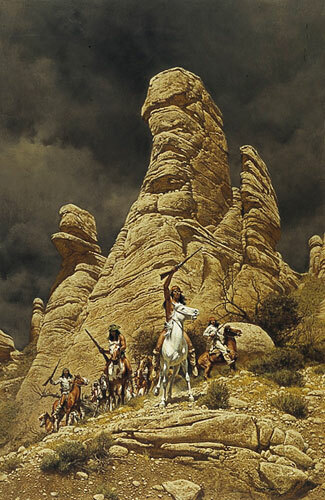 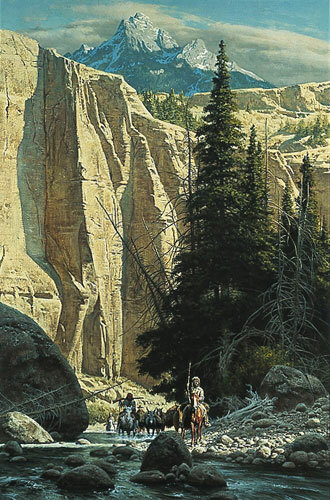 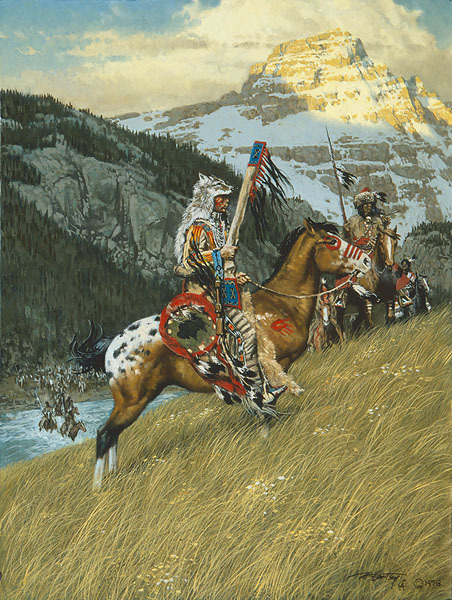 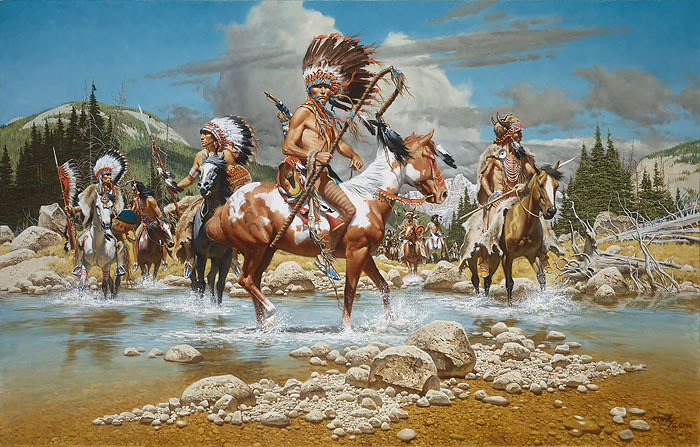 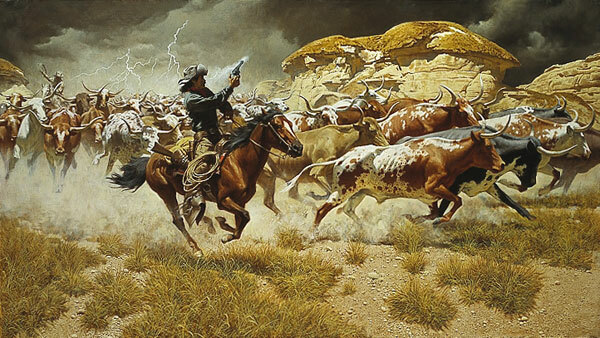 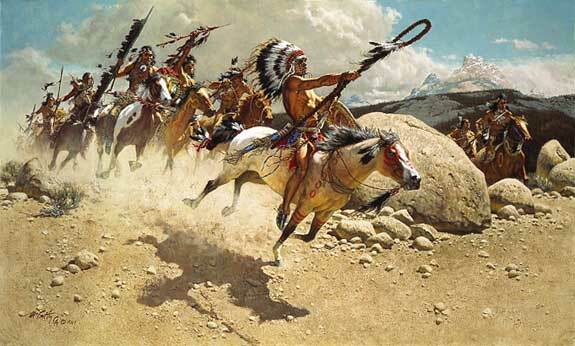 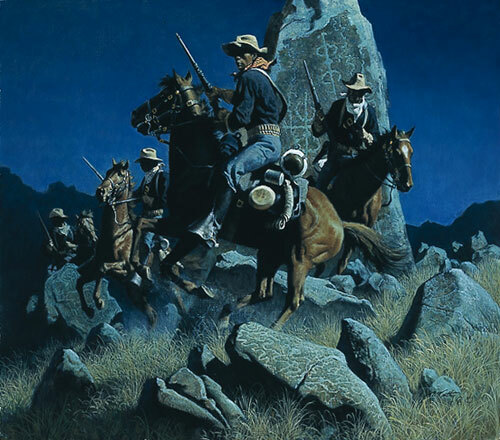 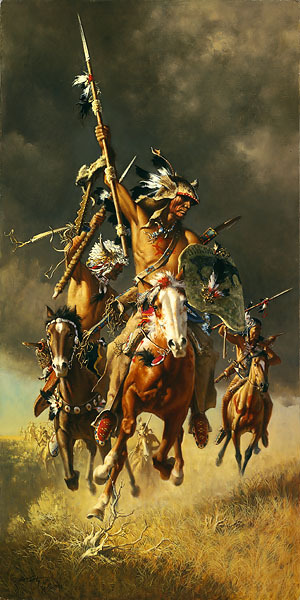 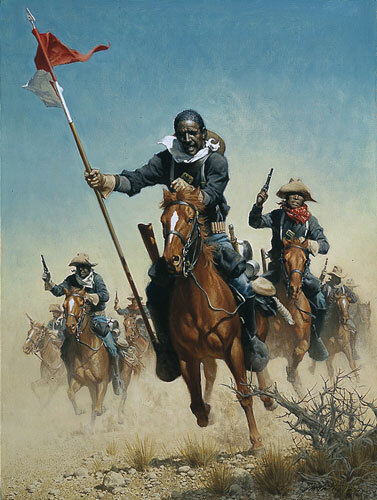 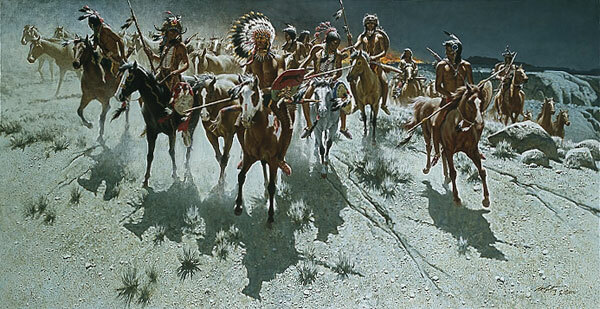 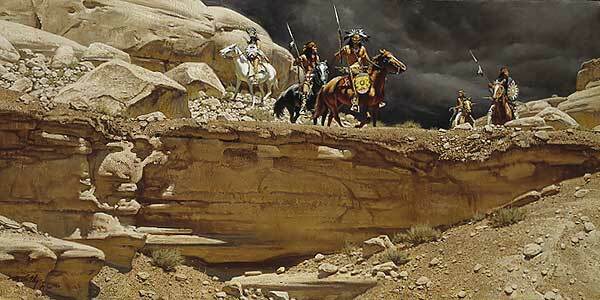 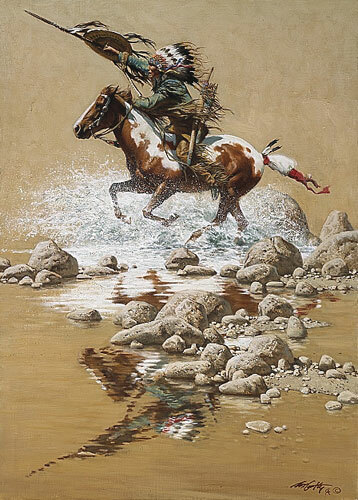 We represent the entire collection of Frank McCarthy. 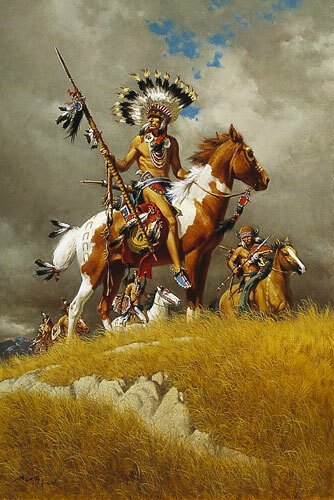 Prices are in USD.
" 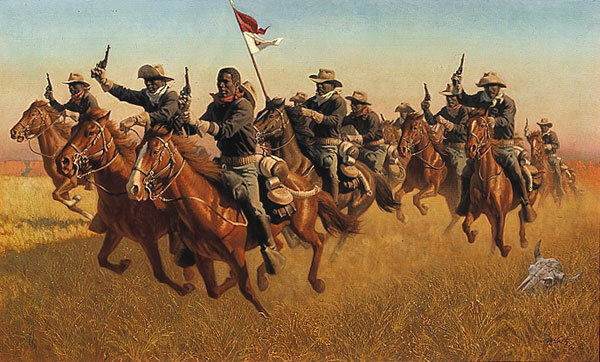 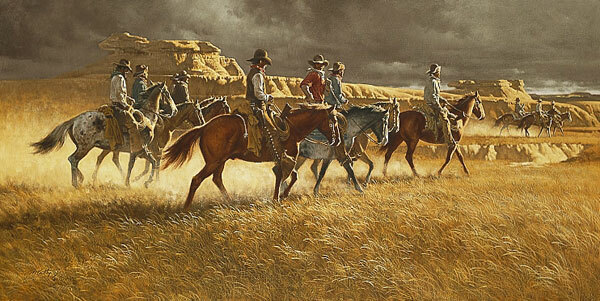 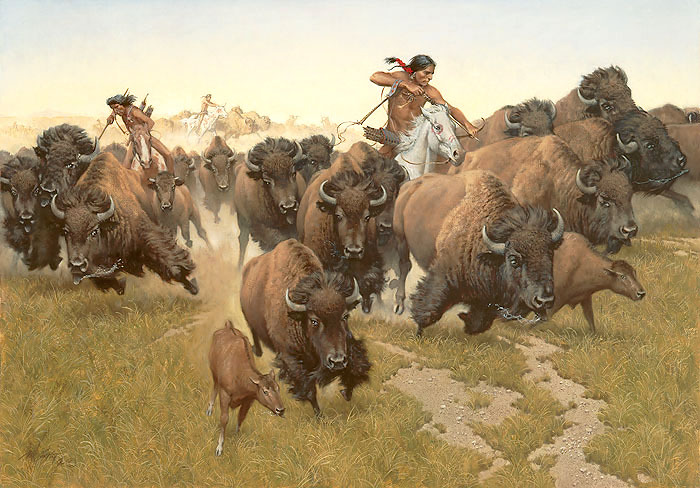 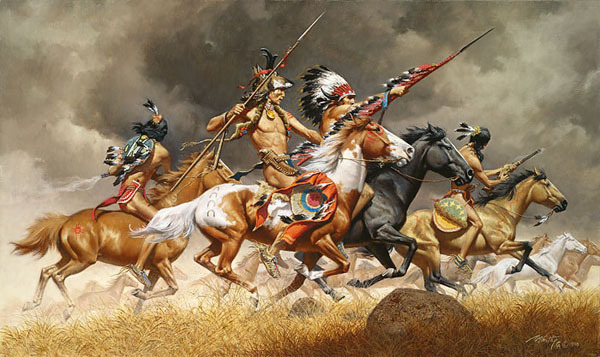 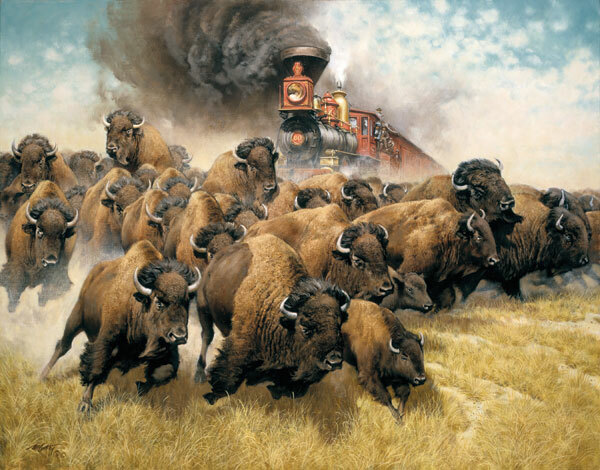 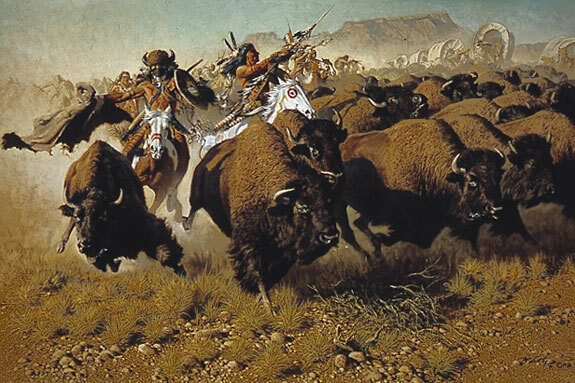 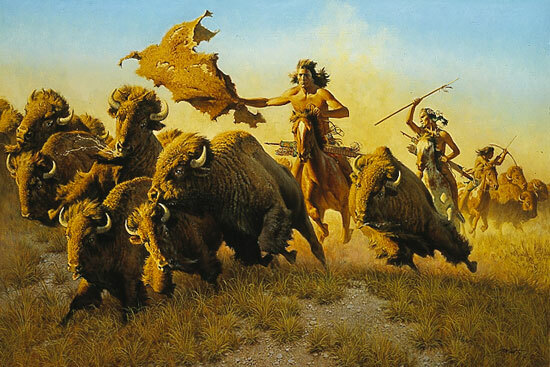 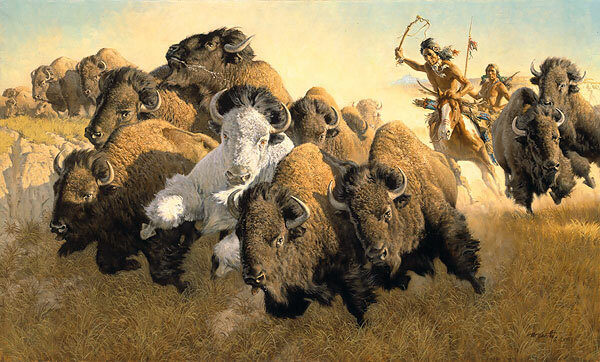 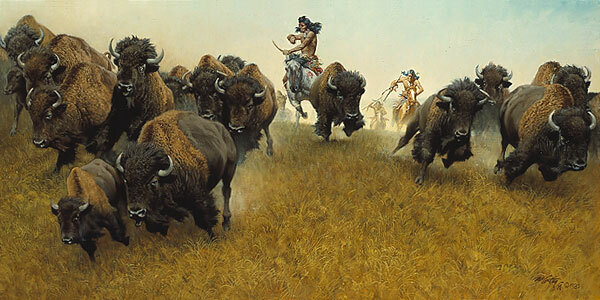 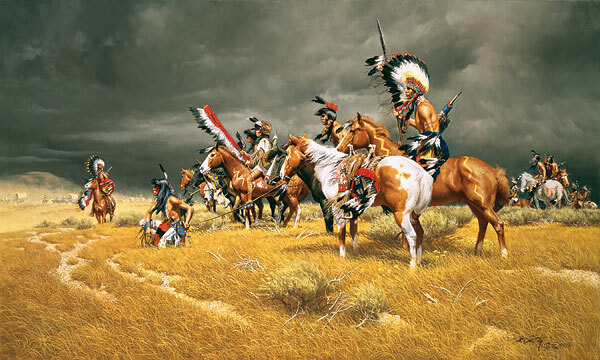 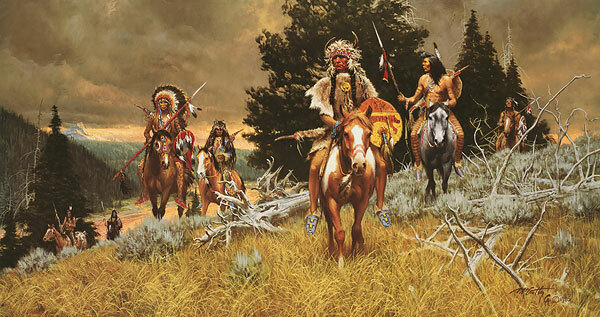 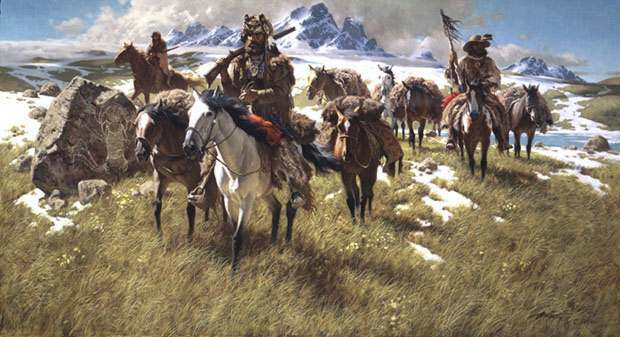 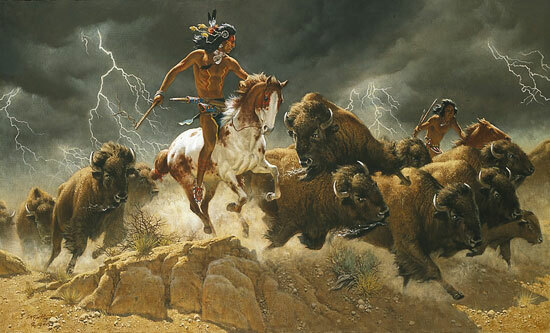 CHEYENNE WAR PARTY "
" CHARGING THE CHALLENGER "
" IN THE LAND OF ANCIENT ONES "
" AMIDST THE THUNDERING HERD "
" ACROSS HOSTILE GROUND "
" DUST STAINED POSSE "
" FROM THE RIM "
" THUNDER ACROSS THE PLAINS "
" ON THE OLD NORTH TRAIL "
" COVERING HIS TRAIL "
" CHANGE IN THE WIND "
" BUFFALO ROBE SIGNAL "
" WHEN OMENS TURN BAD "
" IN PURSUIT OF THE WHITE BUFFALO "
" THE WARRIORS OF THE NORTHERN MOUNTAINS "
" WATCHING THE WAGONS "
" THE COMING OF THE IRON HORSE "
" UNDER THE ANCIENT SUN SIGN "
" THE ROAR OF THE FALLS "
" GUARDIANS OF THE WATER "
" THE LONG KNIVES "
" IN THE LAND OF THE WINTER HAWK "
" WHIRLING, HE RACED TO MEET THE CHALLENGE "
ADVANCE AS SKIRMISHERS CHARGE "
" PATROL AT BROKEN FINGER "
" AFTER THE COUNCIL "
" IN THE SHALLOWS "
" AMBUSH AT THE ANCIENT ROCKS "
" THE WAY OF THE ANCIENT MIGRATION "
" CHARGE OF THE BUFFALO SOLDIERS "
" FLASHES OF LIGHTING THUNDER OF HOOVES"
" SHADOW OF WARRIORS "
"BENEATH THE CLIFF OF SPIRITS "
" WITH PISTOLS DRAWN "
" BY ANCIENT TRAILS THEY PASSED "
" THE ART OF FRANK MCCARTHY"
" BREAKING THE MOONLIGHT SILINCE"
" NAVAJO POINES FOR COMANCHE "
" WHEN THE LAND WAS THEIRS "
" WHERE OTHERS HAD PASSED "
" WHERE ANCIENT ONES HAD HUNTED "
" OUT OF THE WINDSWEPT RAMPARTS "
" HOKA HEY : SIOUX WAR CRY "
" BELOW THE BREAKING DAWN "
" DOWN FROM THE MOUNTAINS "
"THE LAST STAND - LITTLE BIG HORN "
" TURNING THE LEADERS "
" FOLLOWING THE HERD "
" RED BULL'S WAR PARTY "
" WHERE TRACKS WILL BE LOST "
" CHILDREN OF THE RAVEN "
" COMANCHE WAR TRAIL "
" THE LAST CROSSING "
"SCOUTING THE LONG KNIVES "
" AFTER THE DUST STORM "
" IN THE LAND OF THE SPARROW HAWK PEOPLE "
" THE SAVAGE TAUNT "
" OUT OF THE MIST THEY CAME "
" ALONG THE WEST FORK "
" WHIRLING HE CAME TO MEET THE CHELLENGE "
Receive info on new l releases.